CBS11 reporter Arezow Doost, who is on maternity leave after having her second child in November, has decided to leave the station and relocate to Austin. Her husband, Kevin Peters, recently began a job in Austin as a digital producer for IBM. 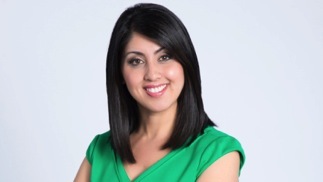 Doost has been with CBS11 since July 2008, initially as a freelancer and since October 2010 as a full-time reporter. CBS11 director of communications Lori Conrad confirmed her departure Thursday and said that Doost will not be returning to the station for any final goodbyes. The 2001 University of Texas at Austin graduate joined CBS11 from Austin’s Fox affiliate, KTBC-TV, where she spent four years. Her first TV news job was at CBS station KZTV-TV in Corpus Christi, where she started in the summer of 2001. “I’ve been so lucky to work here in North Texas,” Doost said. “I moved here as a young girl after a winding path from Kabul, Afghanistan. Looking back, I certainly never thought I would be working in television in D-FW. It’s been quite the journey. Now another journey is in front of me. My husband got a great opportunity to work in Austin. After talking it over, we felt it was something we just couldn’t pass up.